New Year, Fabulous New You! Happy New Year to you fabulous folks! So we’ve all partied and over-indulged in everything and anything that was put in front of us over the holidays, now it’s time to focus on ourselves. With the new year, we all want to wipe the slate clean, think about what the year will bring to us and also want to get fit and healthy, right? I know at the top of that New Year’s resolution list for so many is to ‘Lose Weight’. How do we lose the weight, get fit and stick with it for the whole year and beyond, and not just the beginning of the year? Here’s the thing, I think the focus should be taken off the weight loss and put on getting healthy and prevent getting sick. When we do that and start eating healthier and exercising, the weight subsequently drops off – I hear you say, easier said than done, but trust me, it’s definitely do-able when you change your mind set. We need to think about this new journey as a lifestyle change and not to go on one of the numerous diets that are available – and there are so many. The reason I say that is because diets don’t necessarily work for everyone. We’re all unique individuals and metabolise differently, that is why one type of diet might work for one person but would not necessarily work for the other. Also, diets are temporary – what happens is that we tend to follow the diet guidelines for the duration and once that’s done, the tendency is to return to what was being done before the diet and you’re back to square one and probably worse. Think of the lifestyle change as a process of growth and learning – learning about yourself, what foods work for and nourish your body and what doesn’t. It has a lot to do with nutrition and exercise, but also to do with balancing your emotional state – where you are in life and where you want to be in your career, relationships etc. With the New Year 2013, this is kind of a good time to reflect, meditate, detox/cleanse and be ready to take on what the year has in store for you. Here’s what I do at the beginning of the year – I detox my body for about 3 to 7 days depending on how I feel and how much damage was done over the holidays (see my blog for last year’s detox, still working on this year’s)! This is a juice detox (green juices mostly) which has all the ingredients to cleanse and nourish at the same time. I also do yoga and meditate during the detox which calms me and also helps with the cleansing process. After the detox period, I start re-introducing other foods back into my diet, foods I have discovered actually work for me (more vegetables, whole grains etc.) and cut back a bit on the juicing. The key here is to find out what works for you and in order to do that, you have to be open to trying out new things. Juicing is one of the best ways to get started – that’s how I got started and it’s now a huge part of my healthy lifestyle. You can find a lot of juice recipes including the detox/cleanse juice on my blog (Dare to be healthy), or in my book ‘Healing Foods Healthy Foods’ to get you started. Also, try to find an exercise or activity you absolutely enjoy – when you find an exercise or activity you enjoy, tendency would be that you would carry on doing it without having to think twice about it or talk yourself out of doing it. Juicing will not only cleanse and nourish your body the natural way but will also aid in weight loss if done correctly. I have focused quite a bit on juicing and detox here but there are other aspects that go into creating a healthy lifestyle which I will address in other upcoming articles so look out for them. If you’d like more information on my health programs, please visit my website. I wish you awesome health and success on your new healthy lifestyle! Have been posting a lot of juice and smoothie recipes on my blog which a lot of you seem to like, so I thought I’d write something on the benefits of juicing. So how does juicing benefit our bodies? When we juice, we are providing our bodies with high quality vitamins and minerals straight from the source, as fresh as you can get it – without additives and not pasteurized like what you get in the supermarkets. This is probably the best medicine you can provide yourself to boost your immune system, detox and maintain good health. I tend to make a lot of green juices or smoothies. Green juices fill you with a huge amount of vitamins, minerals, antioxidants, enzymes, protein and much more. 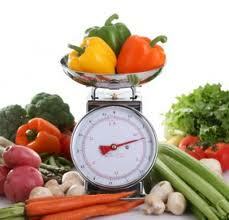 Meet your daily requirement – Standard requirement for fruit and vegetables is five servings per day. Not everyone is able to meet this requirement, so the best way to achieve this is to juice your fruits and vegetables. You’ll actually get more than the recommended intake into your system. Detoxifies the liver – Our liver works hard to purify our blood, remove waste and toxins from the body naturally. With the amount of toxins we deal with in our systems and environment on a daily basis, we need to help our liver function properly and keep us clean. We can achieve this by juicing which enables us get the vitamins and minerals needed to aid the detoxification process. Nutrients that aid this detox process are vitamins C, E, B, beta-carotene which are high antioxidants and potent liver cleansers. A lot of these nutrients can be found in citrus fruits, spinach, broccoli etc. Aids digestion – Juicing helps the digestive system function more effectively. This is because the nutrients in fresh juice from raw fruits and vegetables are more easily absorbed than when you eat whole foods. This way your digestive system is not over worked trying to digest whole foods. Alkalize your system – When you juice vegetables, they alkalize your system balancing your body’s PH level (your body is less acidic). Some of the benefits you get from this are improved brain function, heart function, slowing down the aging process and your body is healthier which means you’re less likely to get sick with diseases. If your body is acidic, it is more likely to breed diseases. Improves skin, hair, and nails – You get a lot of the antioxidants vitamins C and E from juicing, which neutralize free radicals in the body thereby improving skin health and protecting it from sun exposure. Including vegetables like kale and spinach in your juice provides a high level of vitamin B2 which helps improve skin problems, hair loss and cracked lips. Increases energy levels – As your body gets more detoxified and alkalized, it is more able to utilize all the nutrients you are feeding it which will make you feel better. When you feel better and good about yourself, you are more energized and ready to take on anything. The increase in vitamins and minerals you get from juicing is responsible for promoting health and also improving energy levels. Improves immune system – The antioxidants from fruits and vegetables which include vitamins A, C and E, amongst others are essential for healthy immune system. As you juice more often, you get more of these antioxidants on a daily basis – you are improving your immune system which helps your body to be more equipped and able to fight against diseases. Aids weight loss – Vegetable juices have high detoxifying properties which help cleanse the system of waste materials and toxins – this leads to weight loss. Fruits and vegetables are also high in fibre which helps regulate your colon and help the body process food more quickly. This in turn helps you lose weight quickly. So there you have it guys, juicing does a heck of a lot of good things for you, and for those who want to lose weight, this is a fab and healthy way to do so. I tend to come up with my own juice and smoothie recipes regularly so look out for them. Join me in my regular juice fest and get yourself healthy!